What’s your product vision? And what is the mission that you will undertake to get there? These are the big questions that program and project managers concern themselves with throughout commercialization projects. This is also precisely where the art of program architecture comes into play. 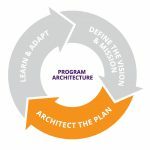 Much like a Systems Architect puts together building blocks to meet the technical goals of the product, Program Architects assemble building blocks to meet the strategic goals of the product. 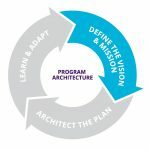 When strategic planning and alignment are concerned, medical device commercialization projects often require the Project or Program Manager to also wear the hat of “Program Architect.” At a high-level, the role of the Program Architect is to create a program architecture with the following process: define the vision & mission, architect the plan, and learn & adapt. It is an on-going cycle of defining, building & adapting. The program mission is also a lofty goal but more tangible in terms of an output. The mission serves as a North Star for the team and is marked by a clear milestone being met. “We will develop the scanner for our pivotal clinical trials at 10 sites in the next 18 months.” Clarity around vision and mission is vital to a program’s success. It guides program or project manager’s problem solving and creativity in charting the correct course to achieve big goals. We build a strategic plan emphasizing the big picture, centered heavily on the mission and the funding strategy. At a high level it is informed by the goals and the constraints (budget and schedule). We start by working backwards, defining key milestones along the way. Here are a few possible alternate goals which will each require a unique plan: Is the project goal to set up a Manufacturer of Record? Or is it to support an earlier exit where device efficacy is established, regulatory approval is cleared, and then the program is divested? Is the device for use in early-stage clinical trials or maybe a technology to be licensed? The investment in non-recurring engineering (NRE) for design, engineering and regulatory is going to be much different for a program with “Manfacturer of Record” as the end point versus one that simply demonstrates technology feasibility for licensing. Similarly, the funding strategy is going to look very different for a product that is funded by corporate revenues vs one that is relying on multiple rounds of private equity. Value creation will always be a key driving force, but the need to consider how quickly and predictably value is created is a much larger consideration for multi-round equity raises. 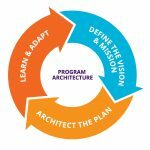 Program risk management is another defining facet for planning. Look for areas of maximum uncertainty to ensure that the team is well positioned to identify them if they come to pass. And then the work begins and the effort to create a team with a cohesive and well understood mission and plan pays off. Why? Because despite all best efforts, things will change. Some of the sources of change are expected, such as technological hurdles and human factors observations & feedback, but others are less frequent and extremely impactful. These include disruptions in funding, changes in the competitive landscape or updates to the regulatory requirements and standards. With a shared knowledge of the vision, mission and plan, the project team is collectively looking out for areas of change in order to identify them and bring them to the Project Manager’s attention. 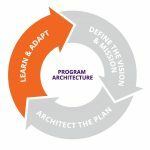 The PM then puts the Program Architect hat back on and will be able to assess and adjust as needed. Following this process ensures that all necessary changes are made to keep the project moving forward as quickly and as efficiently as possible. 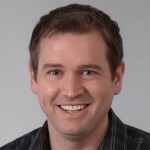 Andrew Morton is the Project Management Manager at StarFish Medical. His work includes projects in Australia, the United States, India and Germany and collaboration with engineering teams in Canada, France, Brazil and Sweden. He is always looking for opportunities to make things better and to help others around him reach their potential.